Your nutrition is the most important part of this bodybuilding program. It is more important than training and supplements. The reason this is so is because your nutrition drives the results of the other two. If you dont have a good supply of proteins, carbohydrates, and fats your body cant recover from training or use the materials in needs to build muscle with your supplements. Give thanks to those pilgrims for starting the wonderful tradition of Thanksgiving turkey. It just so happens that this health food disguised as meat is good year-round for weight control. 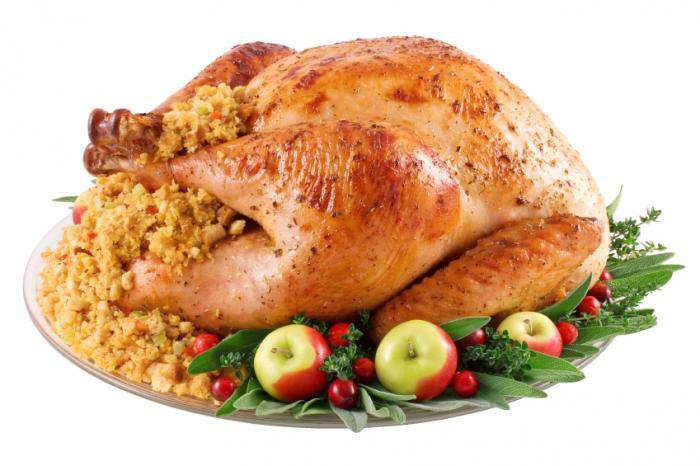 A four-ounce serving of roasted white meat turkey has 177 calories and dark meat has 211. Sadly, many folks are still unaware of the versatility and flavor of ground turkey. Anything hamburger can do, ground turkey can do at least as well, from conventional burgers to spaghetti sauce to meat loaf. Some ground turkey contains skin which slightly increases the fat content. If you want to keep it really lean, opt for ground breast meat. But since this has no added fat, you’ll need to add filler to make burgers or meat loaf hold together. Four ounces of ground turkey has approximately 170 calories and nine grams of fat – about what you’d find in 2.5 teaspoons of butter or margarine. Incredibly, the same amount of regular ground beef (21% fat) has 298 calories and 23 grams of fat. Buying turkey has become easy. It’s no longer necessary to buy a whole bird unless you want to. Ground turkey is available fresh or frozen, as are individual parts of the bird, including drumsticks, thighs, breasts and cutlets. Muscle tension and time under tension are critical for muscle pro­tein synthesis and increases in mus­cle mass and strength. Skeletal mus­cle is a highly-reactive tissue that increases in size in response to over­load, such as strength training, and atrophies in response to inactivity. Researchers from the University of Maryland, in a review of literature, summarized the effects of muscle tension and training load on muscle protein synthesis. Mechanical loading (weight training) turns on muscle protein synthesis by activating the mTOR-signaling path­way. Muscle tension also increases the movement of amino acids into muscle cells, which form the build­ing blocks for making new muscle tissue. Muscle tension also activates muscle growth factors, such as IGF-1 to stimulate protein synthesis. Sensors in the muscle cell mem­branes detect muscle loading, which trigger chemical pathways that make new muscle protein. Muscle tension, along with the availability of key amino acids and other nutrients and hormones, are key ingredients for promoting mus­cle growth. The huge media focus on low carb diets may have led you to believe that “the low carb lifestyle” is the proper way to get a lean, muscular physique. The truth is, carbohydrates are too important a nutrient for you to completely restrict from your diet. You will never make the gains in size and strength that you’re looking for on a low carb diet. The fundamental theory behind low carb diets is that by restricting carbohydrates, the body’s preferred source of energy, it resorts to stored body fat as an energy source. This is achieved through a process known as ketosis, in which the body breaks down triglycerides to be used as a source of energy. Ketosis is not nearly as efficient as carbohydrates are for energy or glycogen replenishment. It can also result in the body using protein (amino acids) from both food and muscle tissue (gluconeogenesis) for energy. This catabolic process is not desirable because it uses the same precious amino acids you need to build muscle and actually breaks them down instead. Later, when protein is discussed, you will learn more about these amino acids and protein’s importance. For now, please realize that athletes need adequate protein to support training, muscle growth and recovery. So, having your body cannibalize protein for energy from the foods you eat, or even worse, your “hard earned muscle”, is a catastrophic disaster for anyone looking to improve their physique or muscular performance! Another reason why low carb diets are not conducive to your goals of increasing lean muscle mass is because they virtually shut down insulin production. As you will soon discover, although you should avoid high insulin levels, you do want keep keep insulin stable, because it’s anabolic and helps promote muscle growth. In this article we shall make no distinction between red and white wine, except to say that red wine generally contains more tannin. Tannin possesses particular therapeutic properties; in particular, the procyanidin it contains helps prevent atherosclerosis, with the polyphenols also present in it having a protective effect on the artery walls. 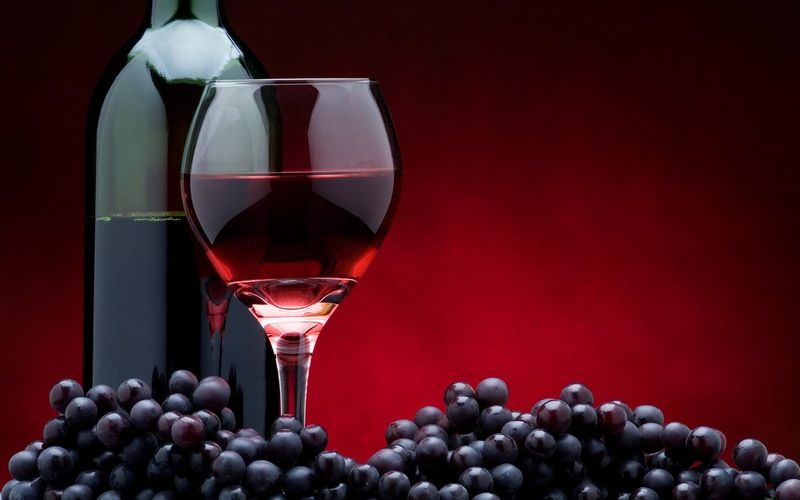 It is only a short step from this statement to the assertions of many scientists, including Professor Masquelier, that wines rich in tannin contribute to some extent to the prevention of cardiovascular disease. A highly reputable medical survey, carried out in Britain in 1979 and bringing together evidence from eighteen countries, concluded that the death rate from heart attacks was lowest in populations which habitually drank wine (three to five times lower in France and Italy than in Northern European countries). Wine can form a part of a normal diet, as long as reasonable limits are observed (about half a liter a day for a man, but only two thirds of this for a woman), and as long as it is consumed as late in the meal as possible, once the stomach is full of food. In Phase I it is as well to stay away from wine if possible. In Phase II it can be drunk on a daily basis without affecting your weight. However, wine consumption will need to be juggled carefully with other carbohydrate intake. I am thinking in particular of chocolate and desserts in general. While you are in Phase I, the stage where you need to be very strict with yourself, it may prove difficult to enjoy a family occasion or a meal with friends without touching a single drop of wine. If you suddenly announce you are not drinking, others may feel awkward about it. In the evening, prepare the oats in the same manner as the Blueberry Oatmeal recipe. 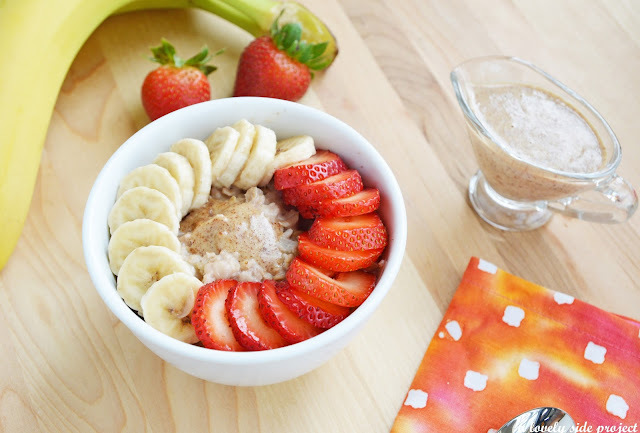 Again in the morning, bring the oats to a simmer and add the banana, salt, cinnamon, and oat bran. Keep stirring and simmer until you have the desired consistency (10 minutes or so), remove from heat, and stir-in the strawberries and protein powder. 6 ounce can of tuna, 1 egg white (stirred beaten), 2 tablespoons of oatmeal (USA tablespoons, UK you need 4 TS), 2 tablespoons of diced onion, 1/4 teaspoon of garlic powder, 2 teaspoons of mozzarella, some salt and pepper. Throw all the ingredients (except the mozzarella) into a bowl. Heat the pan, spray with non stick spray (you can use olive oil if you want). Make 2 patties by just dumping half the mixture into each pile and sort of shape it much as you want to.Cook one side until brown (not long) then turn , when the second side is nearly done, sprinkle cheese over it. (I have used plain old cheddar cheese instead of Mozzarella and it still works fine, but Mozzarella seems better. 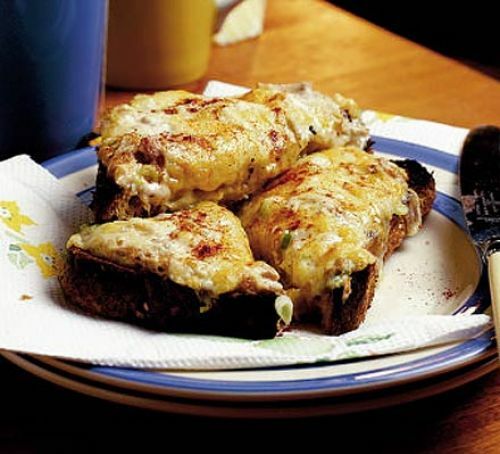 Place under grill for about 1 minute tops to melt the cheese. You can then serve with your choice of carbs, potatoes, oven-chips/fries etc or a just a good salad. Anyone who feels healthy and wants to build muscles can do it easily, if they exercise regularly and eat rich diet that contains excessive quality proteins. Always allow your muscles to relax and commence your exercise with light weights. The things you will need to build muscle quickly are Barbells, Dumbbells and protein supplements. Have protein rich healthy breakfast every day morning. The food you eat must be rich in proteins. You can also whole-grain breads rich in carbohydrates that give energy to your body. Why we go for protein rich food is that it keeps a stable blood glucose level. It helps in building muscle quickly. Having proteins alone will not be sufficient. Your diet should be a balanced one which covers fruits, vegetables, meat and grains. Initially start working with free weights like barbells and dumbbells. Lifting weights exerts pressure on the existing muscle tissues which in turn helps you to build muscle quickly. You will definitely find a change if you keep practicing the right kind of exercises. Exercise machines also help you strengthen and enlarge your muscles but if you want to build muscle quickly you have to go for free weights only. Squats, pushups and pull ups can help you in achieving your target body shape quicker. These exercises will also help you build your muscles but not as effective as free weights. But they will provide very good shape to your muscles. But if you use the same weight and do same number of repetitions in all your workouts, your body cant grow. So to build muscle quickly you must increase the weight or number of repetitions you are lifting at regular intervals. Do not go for supplements that have not been in the market for more than a year. Dont get impressed by the advertisements without testing the supplements. Make sure you include few items in your diet such as fish oil capsules ad multivitamins. Drink plenty of water. Getting enough water is important for maintaining energy levels. You should drink 8 to 12 glasses of water every day. Take rest after you complete your exercise. Especially when you are a beginner you will require complete rest without giving too much strain to your muscles. Muscles will grow only when you take rest. Here rest means having a good sleep. If you work with more heavy weights everyday it may lead to injury to the muscles. Bodybuilding. Maybe you aren’t seeing results and you have no idea of what’s going wrong. Or maybe you just don’t know how to start. To solve those problems, we must break down our process and analyze it step by step. Only then can we spot the mistakes and start gaining large quantities of quality muscle. Most bodybuilders probably would not make the mistake of “not exercising,” so we’ll start with the other half: proper nutrition. Most importantly, bodybuilders need to at least eat their body weight in grams of protein. For instance, if one weighed 170 pounds, one would need to eat 170 grams of protein per day in order to gain muscle. However, dedicated bodybuilders with a high work ethic will eat about double their body weight in grams of protein to compensate for the heavy exercise that they’re completing and to get the massive gains they’re looking for. After all, protein is what muscles are made out of. In order to maximize gains, timing your protein intake is essential. For instance, taking too much protein without physical activity will cause the protein to turn into fat and go to waste. The most important time to take in protein is post-workout. This is the period right after the workout and ends after 30 minutes. During the post-workout period, protein absorption is most efficient as the muscle fibers have just started breaking up and are ready to start repairing and growing. However, to supplement gains, pre-workout protein along with protein consumption during the workout can also help. This keeps a steady stream of protein going to the muscles. Two other important times to take protein would be before bed and at breakfast. Sleep can be viewed as a bodybuilder’s enemy as it is usually a full eight hours of fasting (sleep is still essential as we will cover later). Therefore, we must make sure we don’t starve our bodies too badly during that period, hence the importance of protein before bed. Many people also decide to skip breakfast. This actually lowers your metabolism as your body feels starved and attempts to store fat, which is never a good thing. And as long as you’re working out everyday, there’ll be no such thing as overconsumption of protein. Though we call proteins the building blocks of muscle, other nutrients are also highly important. Most vitamins and minerals promote growth in all aspects, especially B vitamins. B vitamins are found in most grains and fortified foods. So, if you’re still growing, B vitamins will help you maximize your development. Trying to get a full set of vitamins in your diet also has many side benefits like increasing your carb and calorie consumption, essential for gaining weight. Eating more will also force you to vary your protein sources. Another important nutrient is calcium. Bodybuilding doesn’t only strengthen the muscles, it also strengthens the bones. However, bones, just like muscles, need materials to become stronger. Muscles utilize protein while bones utilize calcium. Calcium intake will allow your bones to take on the ever increasing stress of lifting. Also, calcium is needed to metabolize protein. Many bodybuilders make the dire mistake of not taking in proper calcium and end up developing osteoporosis. Besides eating normal diet, you may want to add in some supplements. The market advertises a great selection of supplements. However, most supplements barely benefit you and are generally scams. The two most used supplements however, have been proven to be quite effective in both the lab and through popular consensus. These would be Creatine and Glutamine. Creatine is a naturally occurring acid that is found in meats and helps supply energy to muscles by absorbing nutrients. Nutrient enriched creatine then enters muscle cells, thus enlarging them. The amino acid Glutamine is also a great supplement, known to increase HGH (Human Growth Hormone) levels. The essentials of the physical activity can also be improved. Since it takes over 48 hours for a fully fatigued muscle to recover many bodybuilders tend to alternate muscle groups in order to work out every day. For instance, one may work the biceps one day, fully fatiguing them, then work the quads another day. After working out the quads, the biceps should have fully recovered and the cycle can start again. This allows you to work out everyday without having to change your protein and calorie intake due to your activity level. The quality of the sets of repetitions can also be improved. First, the number of repetitions per set should be 8-12 with most people choosing to do 10. After doing those reps, you should rest for about 3 minutes and then do two more sets with equal reps. Doing the reps in faster, more explosive motions can also help as explosive power requires more muscle mass (just as sprinters have more muscle than marathon runners). Gaining healthy weight is hard for a great deal of the population. Mistakes could lead to excess fat, no real gains (meaning your time and effort would be wasted), bone injuries, etc. That is why every step should be followed carefully. But as long as you exercise and eat right, you’ll see noticeable gains in weeks. Disclaimer: The information contained in this article is for educational purposes only and should not be used for diagnosis or to guide treatment without the opinion of a health professional. Any reader who is concerned about his or her health should contact a doctor for advice. 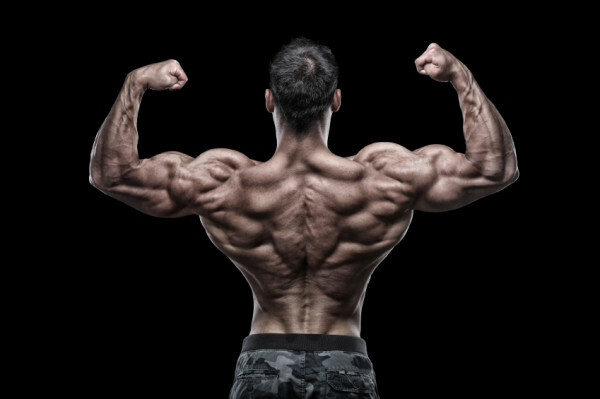 Bodybuilding is the process of getting muscle growth and it depends on several factors. Some of the common factors that it depends on are the genetic factors, the exercises and muscle workouts and finally the diet you eat. There is diet for the people who want to lose weight and those who want to gain it. The two are different and you should not confuse them. 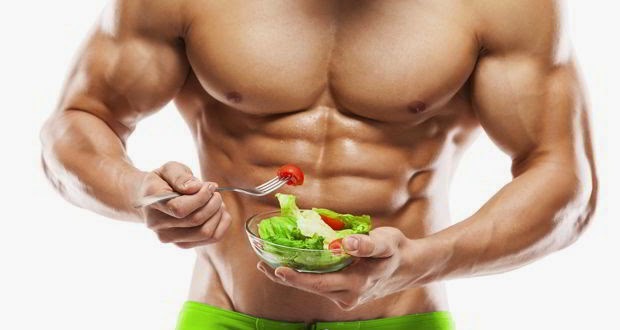 There are many body building diet tips that could help get muscle growth within no time. Ensure you get it right as diet will have many consequences on the extent to which your muscles will grow. To begin with, an ideal body building diet should not have lots of food that may not be helpful but quality foods. It is not a question of quantity but quality. Drinking alcohol and eating junk food will not help in muscle growth as they only add empty calories that will not be beneficial during the body workouts. Eggs are great and have high protein content but it is advisable you eat the egg whites and not the egg yolks as the later has a high cholesterol levels. Milk is highly recommended in most cases; however, taking slim milk will be advisable as opposed to taking whole milk and this is the good supplements for bodybuilding. This is so as the former has lesser fats. Generally, it is better if you go for less fat in a diet. 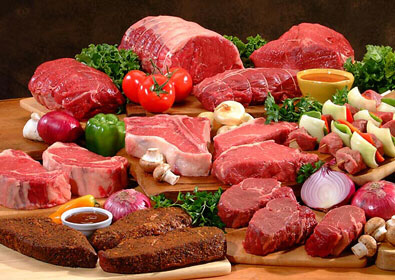 Ideal body building diet must have sufficient proteins. Proteins are essential for muscle building as they form part of the food for muscles. In addition to that, proteins have several other functions in the body that will be very helpful. 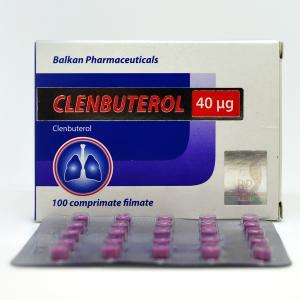 They help in oxygen transportation, tissue repair, maintaining hormone and water secretions. You should ensure you get between 1.0 to 1.4 grams of protein per a kilogram of your lean weight. This will also be depended on the intensity of your exercises. If they are high, you may be required to increase the amount of proteins consumed. In addition to that, to get a great body building diet, especially if you are in among the people are in busy schedules and may not have the time to get the sufficient amount of foods required especially the proteins. Consider going for safest body building supplements which are the natural food supplements. Taking protein drinks for instance, will help boost the protein you consume daily. Take supplements with branched chain amino acids, as they will ensure that your body has acids that will help in protein building and muscles as well. The other thing is to eat lots of fresh fruits and vegetables. They are all high in vitamins and fibers that will help your body to excrete easily and avoid constipations. Your body needs to get rid of the toxins it accumulates during the various body workouts. To do this, drink a lot of water. Generally, it is recommended that you at least 8 glasses of water daily although the amount could be increased depending on the intensity of your workouts. Finally, have a good body building diet plan. This is important, as it will ensure you eat smaller food quantities within short durations that should be about three hour intervals. 3) 1/2 cup (54g.) Whey protein "Banana flavored powder"
4) You can even add the vanilla powder. 1) For the preparation you need a food processor or hand blender to mix all ingredients together. 2) Put the mixture into a container for ice cream or the usual saucer and leave it in the freezer for an hour. 3) After one hour, remove the ice cream from the refrigerator and mix thoroughly. Thus, you make sure that it freezes evenly. 4) Place the container back in the freezer. Wait another hour before taking it. As a result, you have a healthy, tasteful low-calorie ice cream. 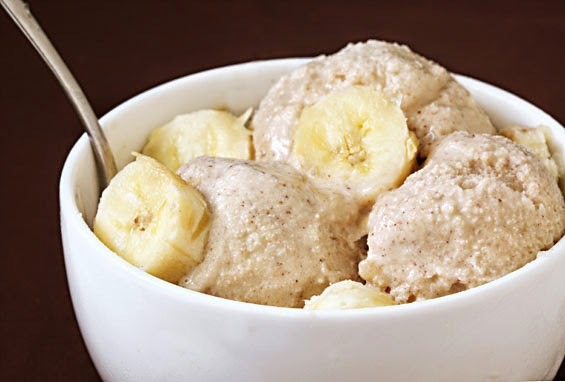 This recipe works with other protein mixtures, makes it even ice cream! If you use other types of proteins may have to add a couple of tablespoons of milk to the mixture if it is too solid. Total Fat Amount - 4.8g. That doesn't mean kicking your trainers off, pouring a beer and settling down with a box set. Researchers recommend extreme temperature changes to repair damaged muscles, reduce swelling and flush out lactic acid. Try a five-minute jog or stretch, six minutes of alternating hot showers (37-43°C) and ice baths, six minutes of cycling, walking or stretching at low intensity, finishing with a final chilly two-minute ice bath. Although low glycaemic index (GI) foods help to maintain energy levels during the day, high-GI foods - such as white bread, watermelon and raisins -are best straight after exercise because they release glucose into the blood. Have a combination of protein and carbs within 30 minutes of your workout. Carbs spike insulin levels in your blood, which shuttles protein into fatigued muscle cells. Protein is essential for repairing these damaged muscle cells.' Studies recommend a carbohydrate/protein ratio of four to one. Finish your workout with a stretching routine to improve the elasticity of your muscles. Maintaining a stretch for 30 seconds will give you the maximum length gains to reduce tightness the next. It will also flush out waste products. When you stretch a muscle it constricts vessels to squeeze out the excess lactic acid that causes stiffness. A post-exercise massage prevents delayed onset muscle soreness. Massage relieves tension in muscles after weight training, which reduces pain. A massage two hours after hamstring exercises reduced the intensity of soreness 48 hours later. Rehydrating is crucial. Your body requires extra water for two to three hours after exercise. It is recommended drinking 1.2 to 1.5 times the weight of fluid lost during exercise. Hit the scales before and after your session and drink the requisite amount. Female FItness: Facts About Your Meals! This is the most important meal of the day! Don’t skip it thinking it was going to help me save calories. If you skip breakfast, you will only become super ravenous by mid day, and end up eating more than you should. Skipping breakfast will also slow down your metabolism, which you don’t want. Never wait until lunch to eat again after breakfast. You need to eat at a small mini‐meal, protein bar, or a protein shake in between the two. Aim at a 200 calorie minimeals, or protein shake or protein bar to help you keep your energy levels high and your blood sugar levels regulated, and to fight off a huge binge at lunch! Lunch is very important. Don’t forget lunch, to help you save time at the office, or if you are running errands. If you do, you are setting yourself up for failure at dinner. You will end up eating the paint off the walls or whatever is in your sight by the time dinner rolls around if you forgot to eat lunch. This meal is crucial! We have had a long day, our patience is running out, and are feeling the effects of all the days duties. Our office friend comes with a box of cookies from the bakery down the street, and we end up giving in! If you ate a great big breakfast, had your mid morning protein shake, your satisfying lunch, you won’t give in! Make it a point to enjoy another protein shake, small protein bar, or a mini‐meal to keep your hunger at bay and under control until dinner. Finally we are home, with our family and loved ones! Sigh of relief as we all gather together for a meal at home. Dinner is a meal to be enjoyed with our friends and family, but don’t overdo it! Remember this very important key: focus on your lean source of protein and also your fibrous carb. Aim to focus on a steamed vegetable, such as broccoli, asparagus, spinach or a large green salad to keep the complex carbs at bay. Generally egg whites are the best absorbing protein for humans and it represents one of the most assimilated food. A single egg (with the yolk removed) contains about 3g of high quality protein and about 16 calories. They also contain all eight of the essential amino acids, vitamins such as A, E, or Vitamin K, B12, riboflavin, and folic acid. All of these are very important to help not only enhance recovery but assist in the repair and grow of lean muscle tissue after it has been broken during the workout. Most of protein powders, which are widely used by bodybuilders and athletes have among its ingredient egg albumen. In this case you are taking in egg whites. Liquid egg whites are 100% bio available in the body for around 4-5 hours and this fact also makes it very convenient and a great choice right before bed. Protein before bed that breaks down slowly as you sleep keeps your body anabolic so you don't waste away any muscle tissue during the periods of your sleep. Another good feature of liquid egg whites is that they are tasteless and odorless which allows you to use them in your protein shakes or as different ingredients. So, no matter your physique level or if you compete or not, egg whites should definitely be on your list of products to utilize. When you're training hard you want to eat about an hour or two before your workouts and again immediately afterwards. Your snacks should include both carbs and protein to help restore glycogen levels in your muscles and repair muscle tissue. A post-workout snack might be a bagel with salmon and cream cheese, or a tuna and pasta salad. For the rest of the day, eat small meals at regular intervals of two or three hours, with the aim of having some protein with every meal. This way you keep your glycogen levels topped up and prevent your body from breaking down and using the proteins that you need for muscle building. It is a known basic fact that even the leanest athletes need fat. According to the Certified Fitness & Nutrition Coach and Professional Athlete Liza Hughes one of the best choices for dietary fat this r is Avocado. Avocado is a fruit that is abundant in the summertime months that provides necessary dietary fat and is full of vitamins to help our bodies work at optimal level. Avocados posses a high fat content and it is a healthy fat, a monounsaturated fat. Studies have shown that this type of fat helps reduce cholesterol. Avocado is also low in calories and rich in antioxidants. It is a perfect source of Vitamin E, which is essential for the normal functioning of the body and is also a potent anti-oxidant which protects polyunsaturated fatty acids in cell membranes. Avocado also contains a great amount of Vitamin C which is necessary for the increase and growth of new cells and tissues and it also assists in preventing the viruses from penetrating cell membranes. Avocado contains thiamine which converts carbohydrates to glucose to fuel the brain and nervous system, and riboflavin which helps the body to release energy from proteins, carbohydrates and fat. A medium sized avocado has 145 calories, 14g of fat, 7.5g of carbohydrates: 6g of fiber, 1g sugar and 1.5g of protein. This amount could be split into 2 portions and added to meals like salads, chicken or any other meal. 1.Cereal and Grain Foods — Baked goods, cereals, bread and flour products are rich, but inexpensive, sources of carbohydrates, minerals and protein. They also contribute some vitamins and a small amount of fat. 2.Fruits and vegetables — Fruits and vegetables, along with potatoes, are very nutritious, providing plenty of vitamins and minerals, along with bulk in the form of cellulose and energy from the carbohydrates. Four or more servings from this group should be included each day. 3.The high-protein group —Fish, meat, eggs, poultry, and even vegetable items such as dried beans, nuts and peas. Along with protein, these foods provide B vitamins and iron. Two or more servings from this group should be consumed each day. 4.Milk and milk-group products — Milk and cheeses are important because they're a particularly rich source of protein, calcium and riboflavin (vitamin B2). However, milk is very high in calories and saturated animal fats. If you like milk, and drink more than two glasses a day, try to drink the skim or low-fat variety. Two servings a day from the milk group is enough. The recommended servings from the Four Basic Food Groups will supply the bodybuilder with all the necessary nutrients. Female Bodybuilding: 3 Important Advices! First advice: take care of your diet – you should know that after the process of workout your muscles need to recuperate and relax. Your body needs to get a constant amount of proteins. It is important to make sure that you consume small protein rich meals every 2 to 3 hours. Missing out enough protein will make your muscles in an unrepaired state and they will not be able to further develop properly. 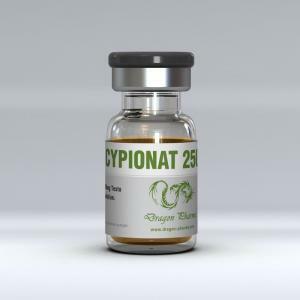 Second advice: find the proper workout system that is suitable for your body type - the exercises that you undertake initiate the production of natural testosterone cypionate which represents hormone responsible for the natural growth of muscles. 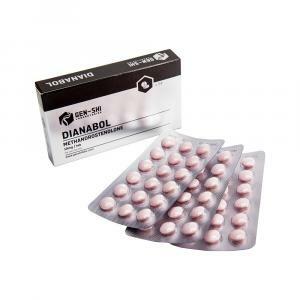 The quantity of this hormone is naturally present in females, but in far less amounts than in males, and the stimulation of its production is very important for the increase and development of muscles. Compound exercises act on multiple muscle groups simultaneously and assist in the growth and development of several muscles at one time. The best compound exercises include deadlifts, and bench press squats. These exercises are very important for natural female bodybuilding. Third advice: choose the food you consume before sleep – this food determine the growth of muscles and their shape. It has already been mentioned that the intake of protein every 2 to 3 hours helps the muscles to recuperate and relax. This process continues day and night. The muscles keep mending also when you sleep. So your protein requirement remains the same even when you are sleeping. Try to consume a diet rich in proteins and fats before you go to bed because a sufficient amount of protein and fat slow down the process of digestion. With a proper evening regime with fat and proteins the supply to the body cells in continuously maintained.